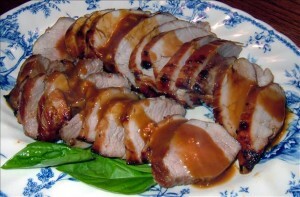 Boil pork loin in a pot with 2 cups of water and ½ teaspoon of salt. Boil until tender and keep the pork stock to be used later. 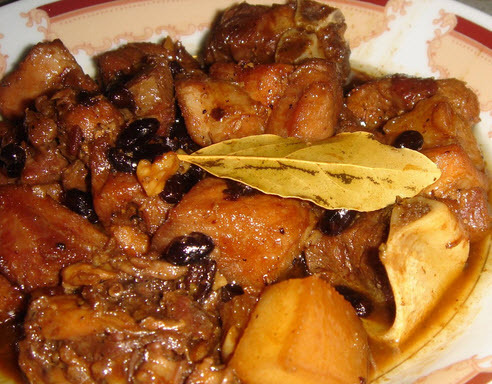 Blend 2 tablespoon of cornstarch and soy sauce, and then coat the pork with the mixture. Fry the coated pork until it has become golden brown, and set aside. Dissolve the 2 tablespoons of cornstarch on a half cup of stock, and set aside. In a pan, sauté garlic and onions. Add the bell peppers, pineapple chucks as well as its juice, ketchup, vinegar, sugar, salt, and the dissolved cornstarch mixture. Stir until the sauce thickens. Add the fried pork and let it simmer. Serve hot. 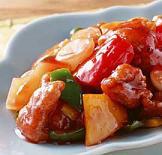 This is how to cook sweet and sour pork. 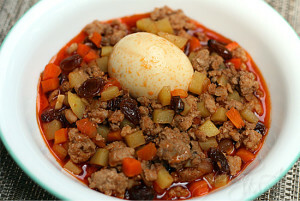 The steps are really easy that you can even prepare this for dinner or other family gatherings. Enjoy your meal! I love sweet and sour pork, too. By the way, can we use pork ribs or chicken, instead? Thanks.